I still love colouring this "You've Got This" flower! This time I stamped on Whisper White cardstock with Basic Black Archival ink and watercoloured. 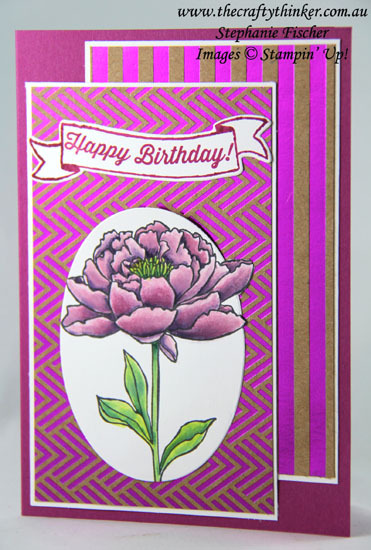 I cut it out with one of the Layering Ovals framelits using the Out of the Box technique and then searched around for something to complete the card. These little offcuts of Foil Frenzy seemed to fit the bill.